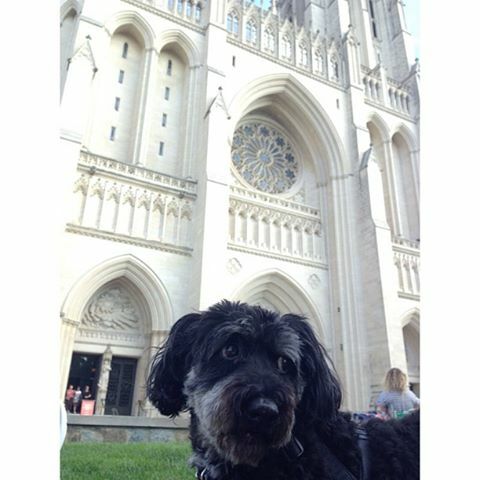 Yesterday we took Kobe to the Washington National Cathedral for their annual Blessing of the Animals service. 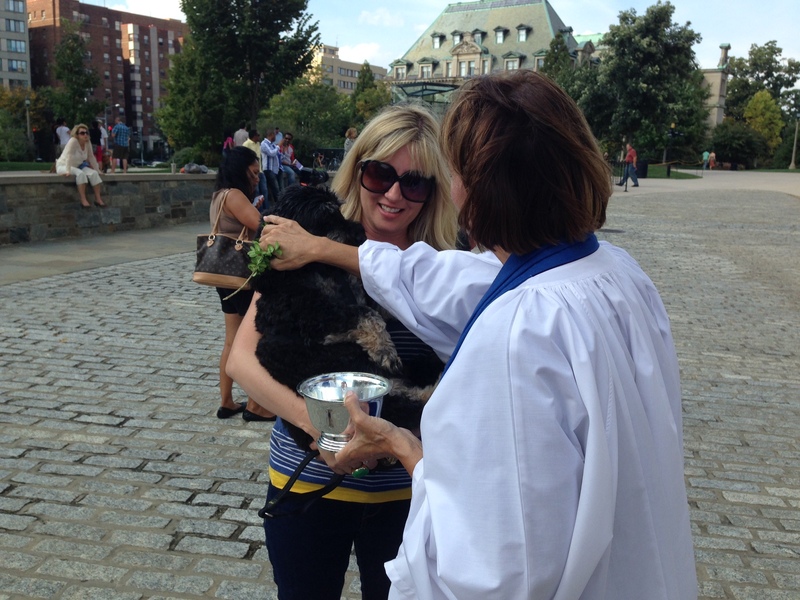 The Washington National Cathedral honors the feast day of Saint Francis of Assisi (c. 1180–1226), patron saint of animals and the environment, with a yearly Blessing of the Animals service on the Cathedral’s west steps. We've never been before, so this was a special treat! 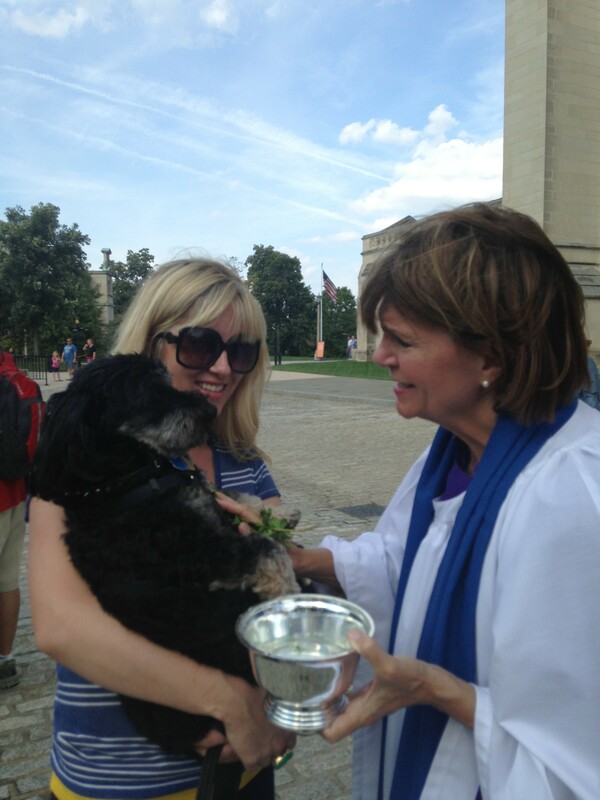 Guests from the Humane Society of the United States (HSUS), the Washington Humane Society (WHS), and the Washington Animal Rescue League (WARL) were special guests. The weather was perfect and Kobe loved every minute of it! 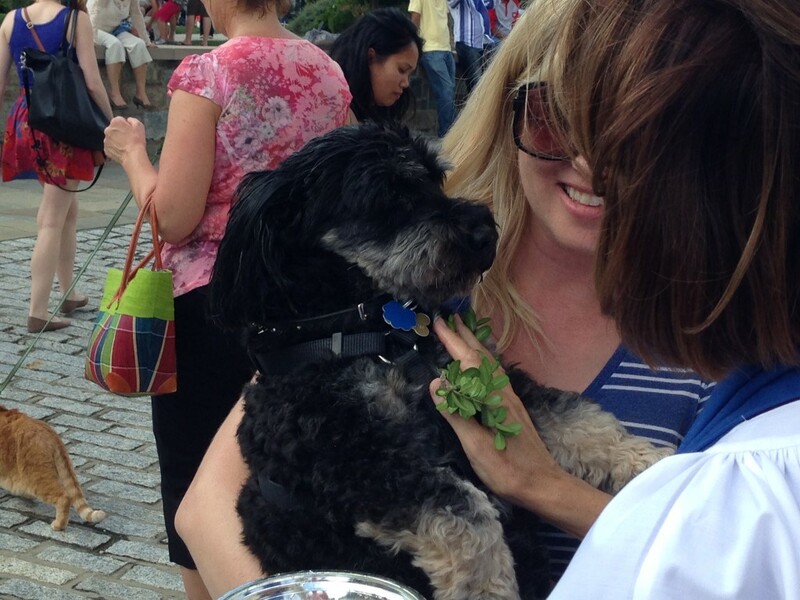 We met many new puppy friends and saw a few cats and a parrot too! 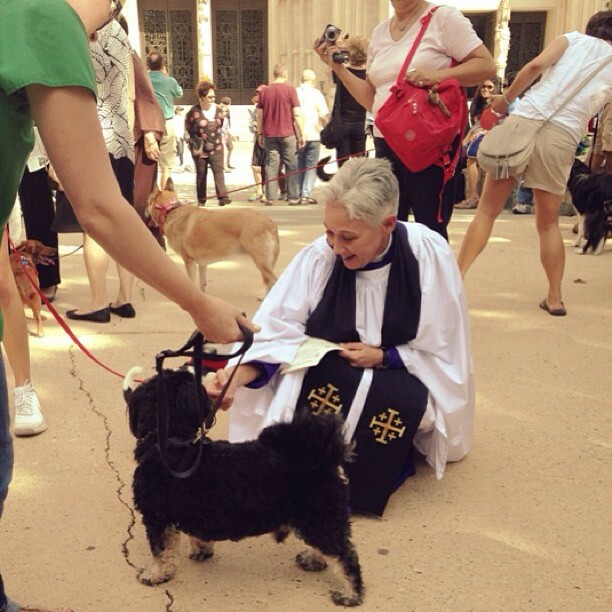 The service was short and sweet on the steps of the Cathedral, followed by the opportunity for each animal to be blessed with Holy Water. 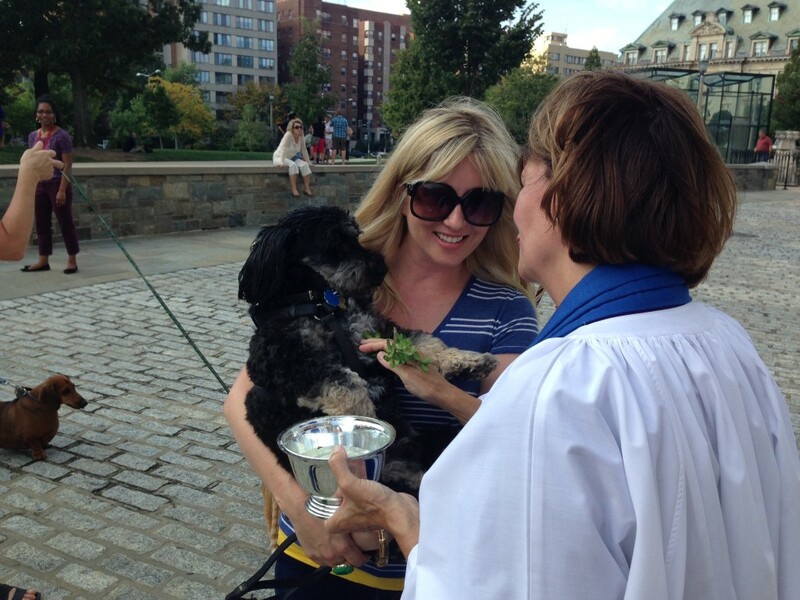 Our blessing by Rev. Baylor included hopes for many more healthy years together and an appreciation for Kobe finding his forever home with us 12 years ago. We are seriously the luckiest gals ever - look at that face! Rev. Campbell greets Kobe before the service. Reverend Baylor blesses Kobe with Holy Water. oh my goodness…that’s the cutest thing ever! awww Kobe! Thanks Jodi! He was so happy!